Habitat for Humanity has a simple vision “A world where everyone has a decent place to live “. They seek to eliminate homelessness and inadequate access to proper shelter by assembling their volunteer workforce alongside local communities and future home owners to transform lives. 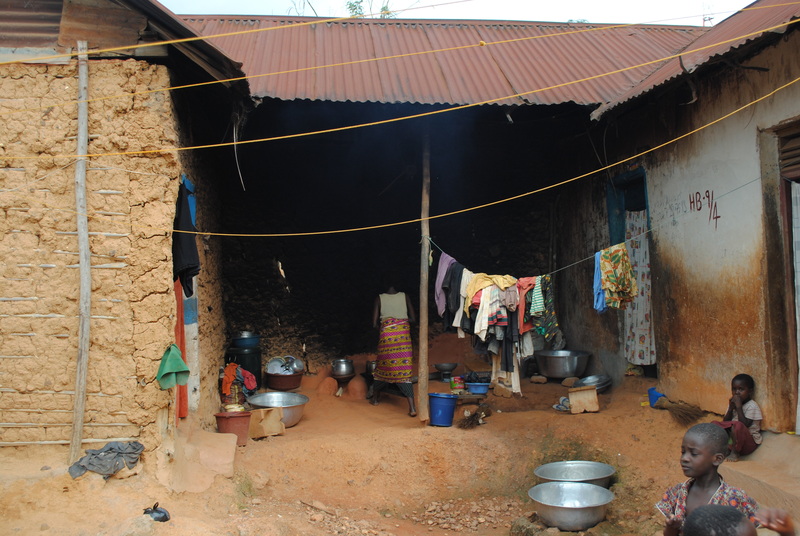 In areas like rural Ghana, new housing can play a major role in alleviating health hazards such as poor ventilation, sanitation and hygiene. Habitat homes also decrease the spread of diseases such as cholera, dysentery, HIV/AIDS, tuberculosis, and malaria, all perpetuated by poor living conditions. I decided to volunteer with Habitat after reading many of their shocking statistics regarding access to housing, specifically that 1.6 billion people around the world live in substandard housing and 100 million are homeless. Once I had done my research and made my decision on where and how I wanted to help, I organized a fundraising marathon to raise money needed to participate in the build. By seeking local sponsors, I was able to raise over $2,000 and I was on my way. My sponsors included Hampstead, NH-area businesses Pet Stop, EZ Way Cleaners, Epic Design Studios, Isabella Boutique, Lobster Q, The Flying Cow, Get In Shape For Women, The Pool Doctor, The Wine Steward, Don’s Market, Wear It’s At, Rockingham Boat, Edgefield Vet, The Meetinghouse Park Summer Concert Series, and Wagner College President, Richard Guarasci. Thank You ALL!!! Flores and Anthony’s former home. On this build, myself and nine other volunteers lived and worked in the Humjibre community. We assisted local artisans by mixing and carrying mortar, plastering walls, and laying concrete floors. We were able to complete two homes with the help of the future homeowners. My half of the team worked on a home for Anthony and Flores, the parents of two young boys, who had been living together in one room of a home shared by their extended family. The couple had been working on their home for several weeks before our arrival and were so excited to see it finally finished.In a dedication ceremony on September 11, the two were ceremoniously presented with the keys to their new home. Habitat for Humanity International serves over 90 countries around the world. Since it’s inception in 1976, Habitat has constructed more than 500,000 houses, giving shelter to more than 2.5 million people. Finishing the homes was an extremely fulfilling project but the most profound element of the trip was meeting and working with the people of Humjibre. The community welcomed us with open arms, teaching us the language, showing us around the village, and sharing their history. The children were especially excited about our visit, joining us to color and take photos. I would recommend a Habitat trip to anyone who wants to have a truly unique experience in a new place. The organization does an outstanding job making participants feel safe and comfortable in an unknown environment. Check out how my Habitat for Humanity volunteer experience compares to other volunteer projects I’ve worked on via my AltruHelp profile. What’s your Social Impact?